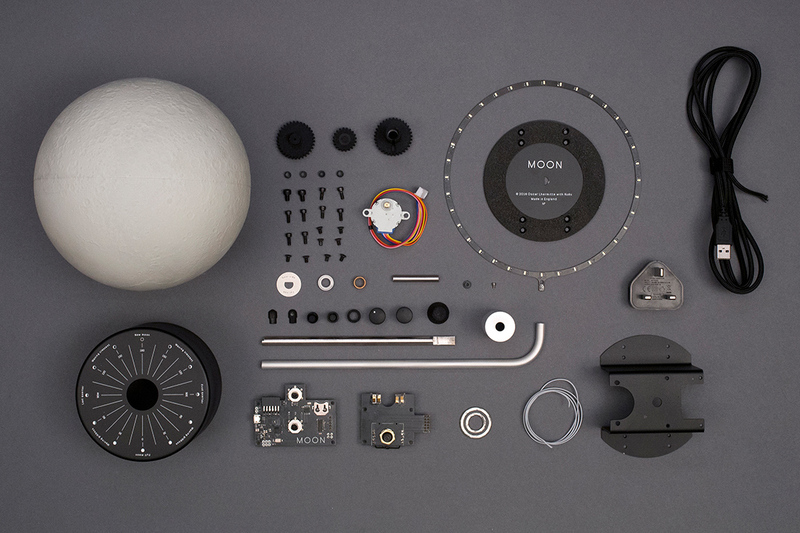 The first topographically accurate lunar globe, displaying the current lunar phases at any given time. 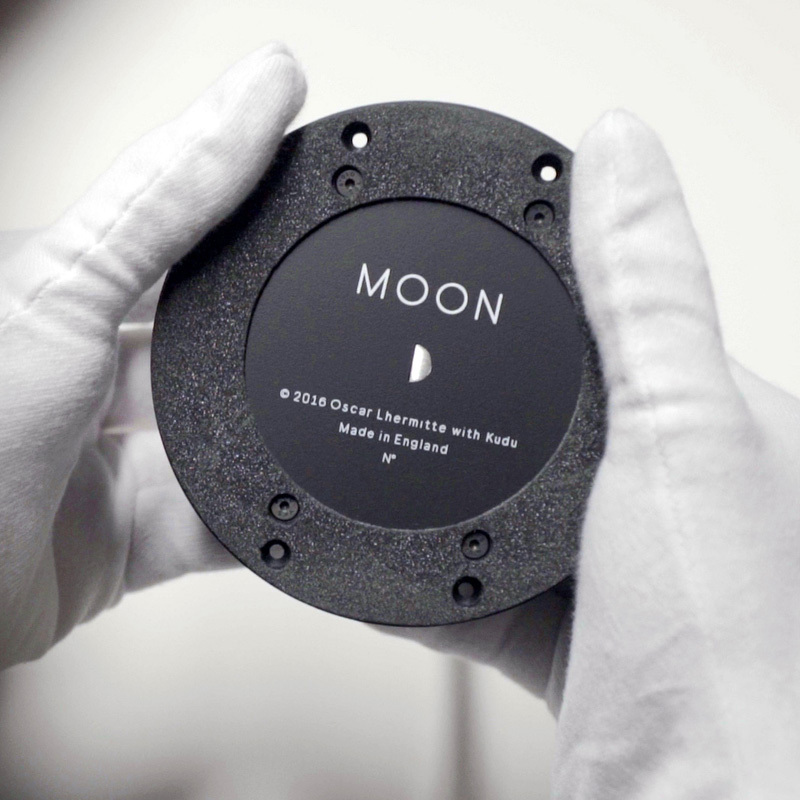 Built using NASA’s Lunar Reconnaissance Orbiter topographic data combined with electronic and mechanical engineering alongside careful craftsmanship in mold making. Design meets technology meets science meets art. 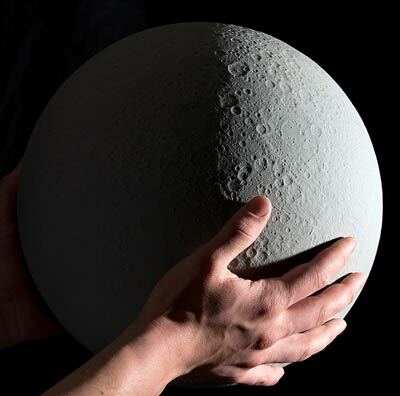 MOON is a truly accurate 1/20 million replica of the Moon featuring all the craters, elevation and ridges in accurate 3D. 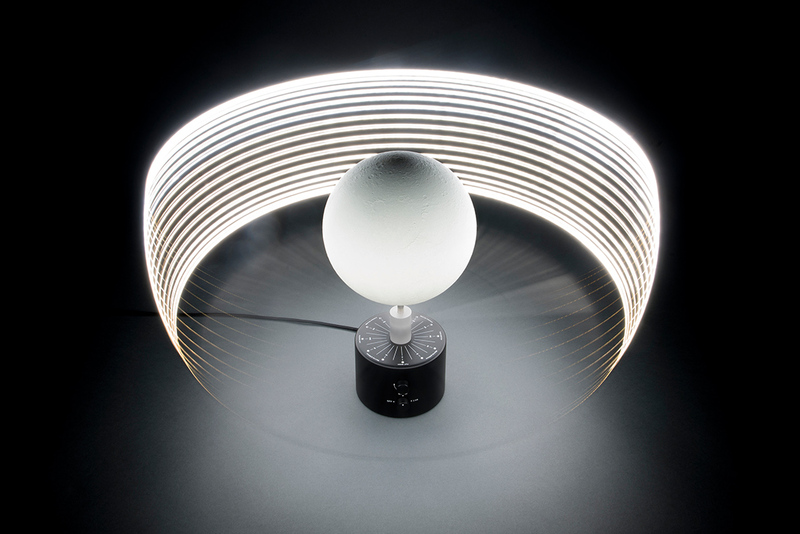 It has ring of LED lights revolving around the globe, constantly illuminating the correct face of the moon and recreating the lunar phases as seen from Earth. The combination of the 3D terrain with a light source is what makes it unique. 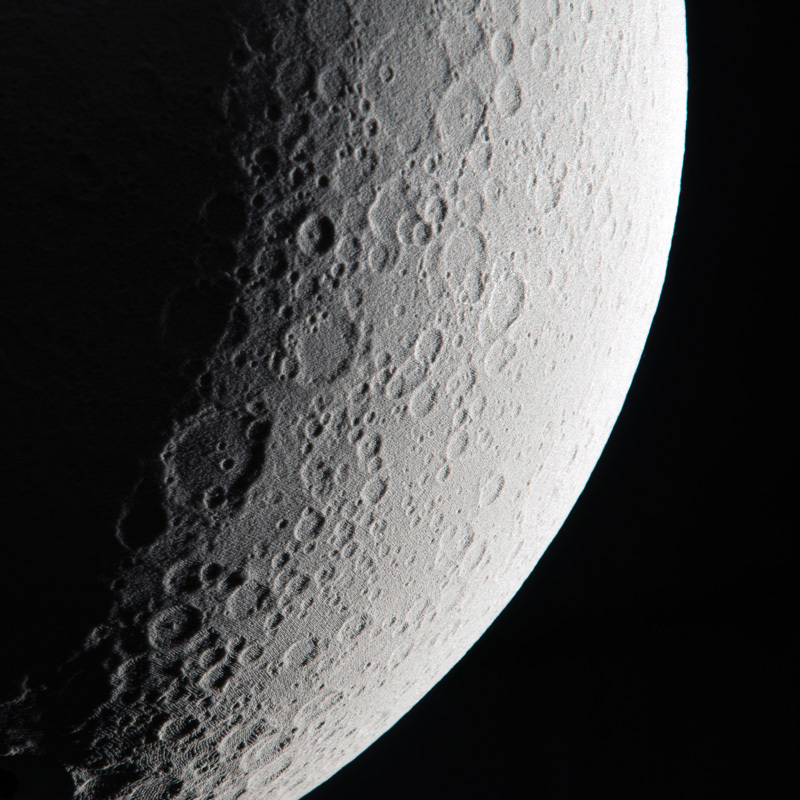 By projecting the light onto the Moon, all the craters, ridges and elevations are brought into relief by their shadows. This recreates the lunar features as seen from Earth. 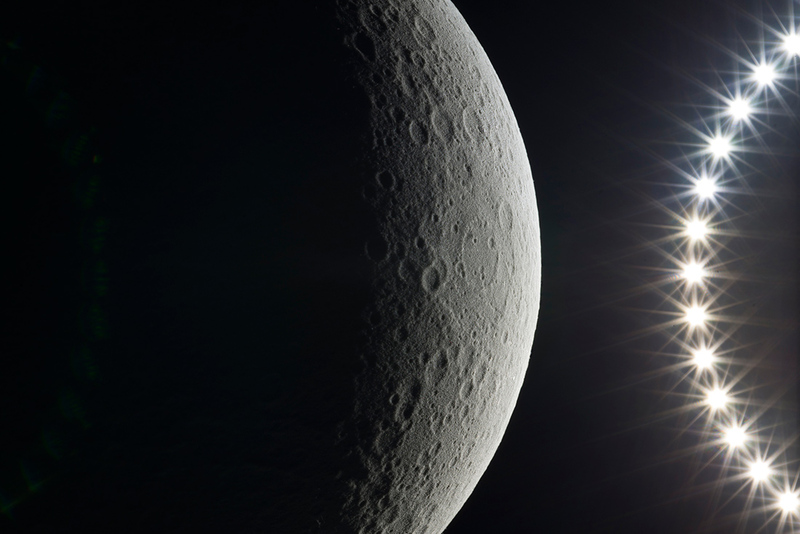 For the first time ever, get to see the sun rising over the Far side of the Moon. • Manual mode – Set the phase you would like to see. • Demo mode – Observe a complete synodic month in just 30 seconds. • Live mode – Experience the actual lunar phase happening at a given moment. 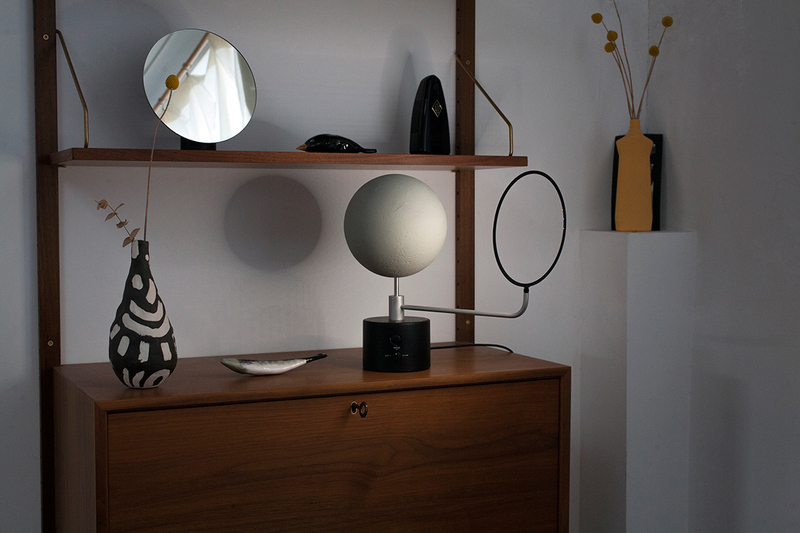 Each globe is carefully rotocasted in polyurethane resin and hand finished in our studio. A perfect 1/20 million scaled replica of the Moon. A custom built computer with the same 64 KB memory power capacity as the computer that took Apollo 11 to the Moon in 1969. 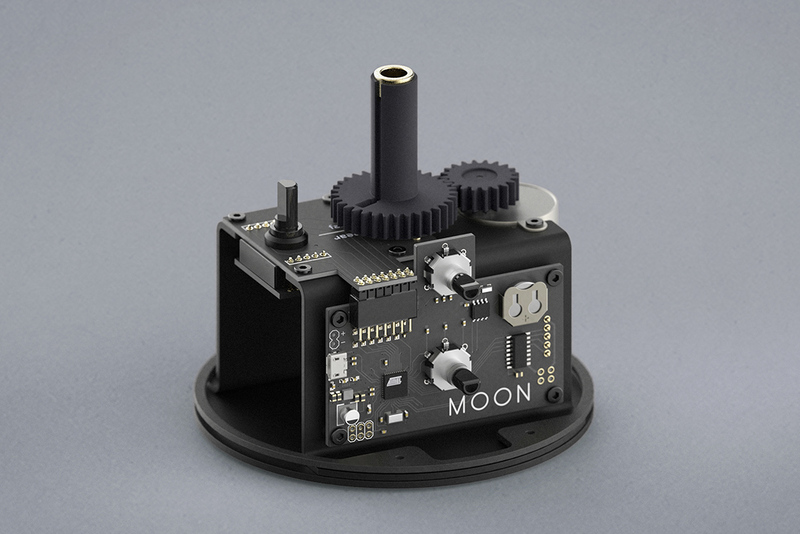 Its real-time clock and gearing system make sure it is perfectly in sync with the actual Moon and Sun’s positions. 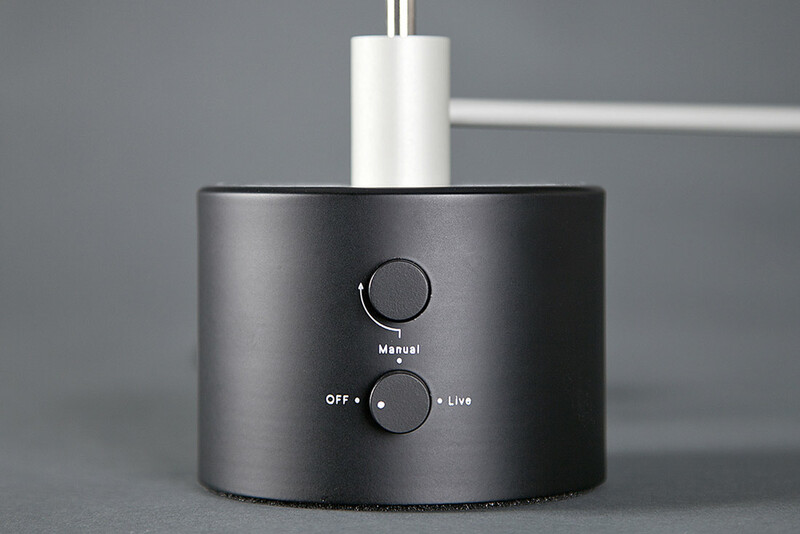 A simple analogue button interface makes it a pleasure to operate.